ALBANY, GA – Congressman Sanford D. Bishop, Jr. (GA-02), Ranking Member of the U.S. House Appropriations Subcommittee on Agriculture, Rural Development, Food and Drug Administration, and Related Agencies, is pleased to announce that the U.S. Army Corps of Engineers has awarded $516,000 in funding for aquatic vegetation treatment and fishery repopulation to address hydrilla growth in Lake Seminole and Lake Walter F. George, both located in the 2nd Congressional District of Georgia. For Lake Seminole, the U.S. Army Corps awarded a contract of $143,000 to address growth of the invasive hydrilla weed and $95,000 to repopulate the lake’s hybrid grass carp. For Lake W.F. George, the Army Corps awarded $68,000 to address hydrilla growth and $210,000 to repopulate its hybrid grass carp. Hydrilla is an invasive aquatic weed that presents a major risk to the health and well-being of impacted lakes. Hybrid grass carp feed on aquatic weeds such as hydrilla and do not reproduce in ponds and lakes. Addressing hydrilla growth in Lake Seminole and Lake W.F. George is vital to the environmental and economic health of these resources. Hydrilla’s ability to multiply at alarmingly high speeds enables it to dominate the vegetation within a lake. As hydrilla grows, it gradually creates a thick, blanket-like cover near the water’s surface, which drastically impedes sunlight and oxygen from reaching the lake’s submerged aquatic life. The dense network of hydrilla that forms near the water’s surface significantly limits boat use and other forms of water recreation. 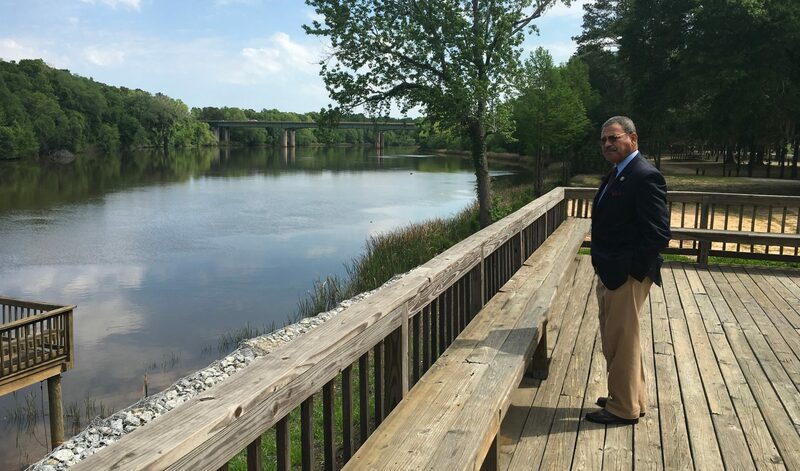 Congressman Bishop has long been focused on addressing the hydrilla infestation to protect the ecological health of Lake Seminole and Lake W.F. George and to ensure the robust and sustainable utilization of the lakes by the surrounding communities. Thank you for visiting my campaign web site. If your intention was to visit my official House of Representatives web site, please click here.